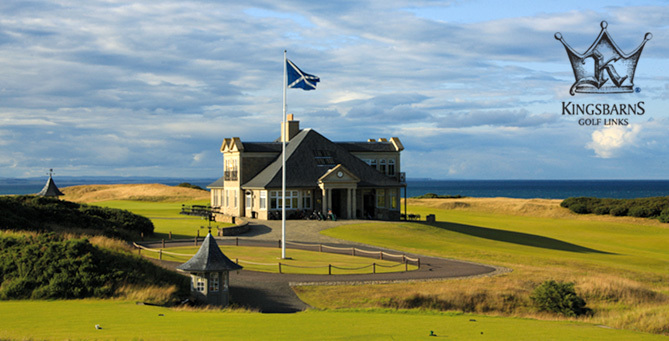 Kingsbarns Golf Links was voted the Golf Course of the Year at last night´s Golf Tourism Scotland (GTS) Gold Standard Awards held at the Fairmont, St Andrews Resort. The Awards are recognised as the industry Oscars and celebrate the greatest achievements throughout the industry from courses to hotels and resorts, tour operators, golf secretariats, caddie masters and transport companies. Kingsbarns was named Course of the Year for the 4 time ahead of some of the leading courses in Scotland including Balcomie Links (Crail), the Carnoustie Championship Course, Castle Stuart Golf Links, Gullane No 2, Machrihanish Dunes, the New Course, St Andrews, North Berwick West Links, Pitlochry, the Old Course St Andrews, the Torrance Course (Fairmont St Andrews), the Ailsa Course at Turnberry and Western Gailes. The GTS Gold Standard Awards are the only Scottish golf industry honours to be nominated by, and voted for by the industry itself. GTS members cast their votes online in the various categories. “To win the Golf Course of the Year Award is a great tribute to the Kingsbarns´ team of staff who have been working really hard all year to deliver the course in top class condition and to provide excellent customer service. The natural beauty and outstanding quality of the golf course make Kingsbarns a special place but it is the people who add the extra dimension to the whole Kingsbarns experience,” added Alan Hogg.